I really liked The Secret River! Hope you enjoy your Aussie odyssey next year. I have Kate Grenville to read as well for Orange January. Kate Morton and Peter Temple I have heard are good (But I have not read them) and Time Winton is a popular but I dont really like his stuff. Some good books there. 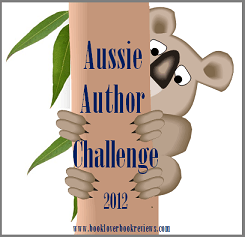 BookLoverBookReviews said - A very warm welcome back to the Aussie Author Challenge for its third year! I feel the same about Tim Winton. I've only read one of his books, "The Riders", and it left me cold. I feel like I should give him another go but when you have to talk yourself into trying there doesn't seem a lot of point.